Simon Burall is a senior associate at the UK charity Involve in London, which provides advice to the Sciencewise programme. Over the past three years, thousands of articles have been published about editing genes and genomes. Apart from a public dialogue run by the Royal Society at the end of last year, there’s been little attempt to engage the public on the implications of the technology in a way that could alter the decisions of scientists and policymakers. Indeed, concern about the lack of effective public engagement has motivated several workshops, including one by the intergovernmental Organisation for Economic Co-operation and Development (OECD). If this is all that happens, scientists and policymakers will be ill prepared for the public debate that will almost certainly erupt as applications proliferate. Since the 1980s, and especially over the past 10–15 years, there has been a steady rise in efforts to engage people in areas of complex and potentially controversial science and technology. Approaches vary, but they generally involve specialists relaying information to small groups of the public. In Denmark in 1989, for instance, 15 members of the public, of various ages, social classes and ethnicities, talked to 15 experts about gene sequencing1. And in 2011, Sciencewise, a UK government programme that I directed, sponsored a public dialogue on experiments involving the transfer of DNA between animal and human cells, or the culturing of the two cell types together2. 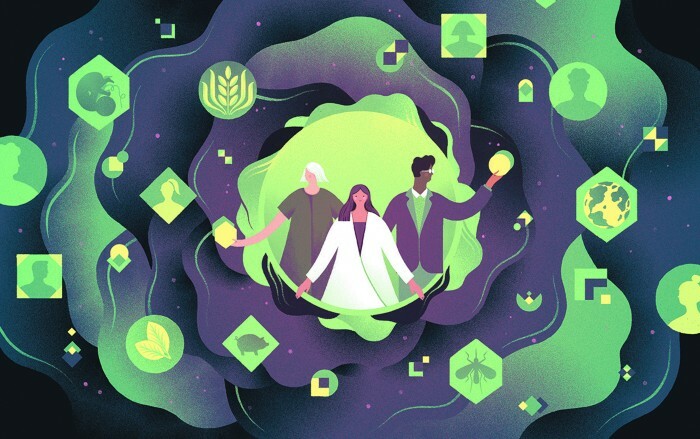 Workshops involving scientists, policymakers and 70 members of the public, drawn from all walks of life, were accompanied by a survey of more than 1,000 people. These kinds of processes can link different perspectives to policy. They’re especially effective for advances that are likely to affect a limited number of people or domains, for instance, because of costs or special interests (as in rare diseases). In the Danish case, participants provided a thoughtful response. They welcomed screening for families affected by genetic diseases, but they expressed caution about the widespread use of genomics for diseases for which no cures exist, and the possibility of employers or health-insurance companies screening potential workers or applicants. And according to the organizers of the event, these concerns led to the Danish Parliament in 1997 prohibiting genetic screening for health-insurance purposes in 1997. In the United Kingdom, too, most participants in the Sciencewise dialogue were in favour of research that could help to improve human health, as long as that research was robustly regulated and animal welfare was taken into account. Again, the engagement process influenced policy. It fed into the Guidance on the use of Human Materials in Animals, published in 2016 by the UK Home Office, which must be followed for experiments involving human and animal material to be licensed. In my view, gene editing is likely to provoke a much broader set of social and moral questions, and therefore requires a different approach. The techniques are relatively cheap and easy to deploy. Like artificial intelligence, gene editing could radically alter almost every domain of life, including human health, plant and animal farming practices and the industrial production of drugs and materials. A first step towards building an engagement structure for something of this scope is thinking about the public in a different way. When pressed, most scientists and policymakers understand that ‘the public’ isn’t an undifferentiated mass. Yet most engagement processes are designed on the premise that there is a set of unchanging perspectives out there waiting to be identified. They happen in spaces that the public is invited into, they are generally one-off or short and they involve little or no follow-up. In reality, some people will have very limited knowledge; others will have a more sophisticated understanding. Those with certain values, politics and beliefs might be enthusiastic at the outset; others antagonistic. Still others, such as those belonging to patient groups or who are active in local conservation projects, might be interested but unaware of the technology. Crucially, most will already be embedded in an array of interlinked networks — for example, as members of farmers unions, parent–toddler groups or activist organizations such as Greenpeace. These existing networks offer numerous channels for widening awareness about gene editing and for sparking more-nuanced conversations about its possible impacts. They also offer policymakers and scientists windows onto what people are already saying (or not) about the technology. Participating organizations would include those with declared interests in gene editing, such as research groups, the World Health Organization, national farmers unions, activist groups, pharmaceutical and agricultural companies and institutions focused on development, such as the Gates Foundation. They should also include groups that sit between stakeholders with a direct interest and the public, such as civil-society groups concerned with disability rights or the environment. Such a consortium could first commission social scientists and others to use network analyses to map out which communities seem to be unaware of, or at least unengaged in, the wider societal debate about gene editing; who is already discussing it; and who is likely to want to know about it. To achieve the former function, mapped networks would need to be given evidence-based information about both the science and policy in various forms and at different levels of detail. And misconceptions and falsehoods would need to be corrected. This could involve the consortium engaging on social media, producing videos, communicating with the media or providing information to relevant groups. As part of this effort to disseminate information and promote debate, the consortium could also connect communities with shared concerns, or individuals who are likely to share concerns. This could be done informally, through social media, say, or formally through workshops. Crucially, the consortium would need to see itself as an active node in an existing network — one that helps to facilitate cross-talk and promote debate more broadly. 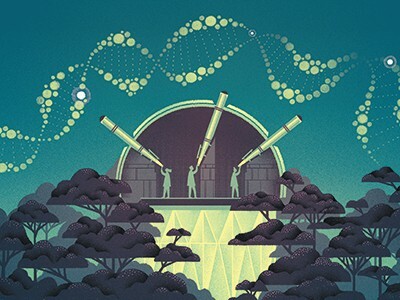 Once a critical mass of people are engaging with the social, political, moral and economic implications of gene editing (which will happen whether or not governments develop an effective engagement architecture), the societal debate will move fast. Thus, the selected organizations would need to communicate the range of views to policymakers and scientists, and correct the misconceptions that these groups frequently have about people’s perspectives on the development of a technology — that they will inevitably reject it or never understand it. In the longer term, this effort could guide the commissioning of more-conventional engagement processes around specific policy decisions. Such efforts are likely to be much more effective if built on ongoing network-based engagement. What I am proposing will be difficult. Researchers and policymakers may be reluctant to commit to a new architecture for developing a debate that no one is able to control. Many are sceptical about the value of public involvement in making decisions about science and technology3. Certainly, specialists will need to demonstrate humility, a clear understanding of the bounds of their own expertise and an appreciation of the knowledge, experience and values that members of the public can bring. The most viable way forward might be for governments to identify key stakeholders who share concerns about the public debate becoming dominated by people with competing views talking past each other. Together, these organizations could produce a statement of intent and start to build political support for the new entity, its role and membership. This is not uncharted territory. Social scientists at the Science, Society and Sustainability (3S) Group at the University of East Anglia, UK, mapped public engagement with issues on energy use between 2010 and 2015. Then, last October, the team proposed an architecture (similar to the one I set out here) for the energy and climate-change debate4. Finally, the model I propose will require significant investment of time and money (in the region of US$700,000 to $1.5 million per year). Yet, as many experiences with genetically modified crops have illustrated, simply trying to convince people that the science is safe, and that they should accept the applications that emerge, can be much more costly. The Academy of Medical Sciences. Animals Containing Human Material (The Academy of Medical Sciences, 2011). Grove, J. ‘Populism and polarisation “threaten science”, Nobel laureates say’ Times Higher Education (31 August 2017). Chilvers, J., Pallet, H. & Hargreaves, T. Public Engagement with Energy: Broadening Evidence, Policy and Practice (UK Energy Research Centre, 2017).